WIRED developed a community and blog around the future of tech and business where IBMers posted content and participated in a forumn dialogue with the WIRED world. 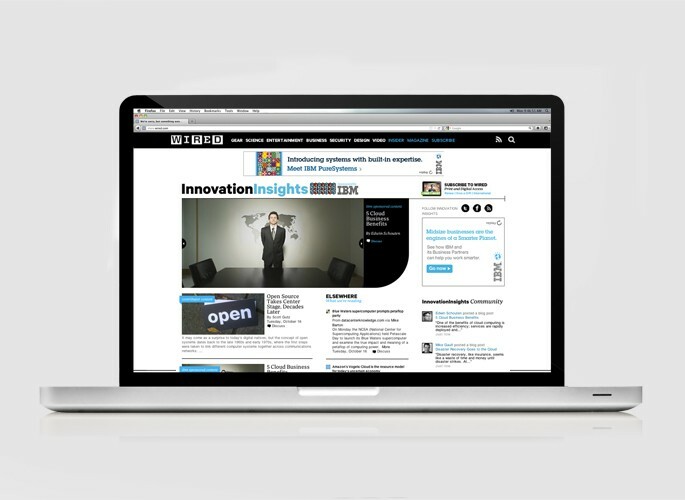 Digital: A custom community site on WIRED.com housed multimedia content and expert posts. Subtle IBM branding surrounded the online destination. Print: A monthly in-book program promotion strategically ran adjacent to the digital TOC. IBM received promotional units driving readers to join Innovation Insights.